Spring fever is in the air. 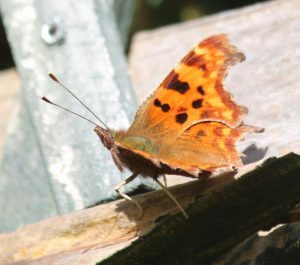 So this is such an exciting time of year with plenty of spring wildlife to look out for. Buds are budding and the first blossom of blackthorns and then hawthorns are pretty as a picture. 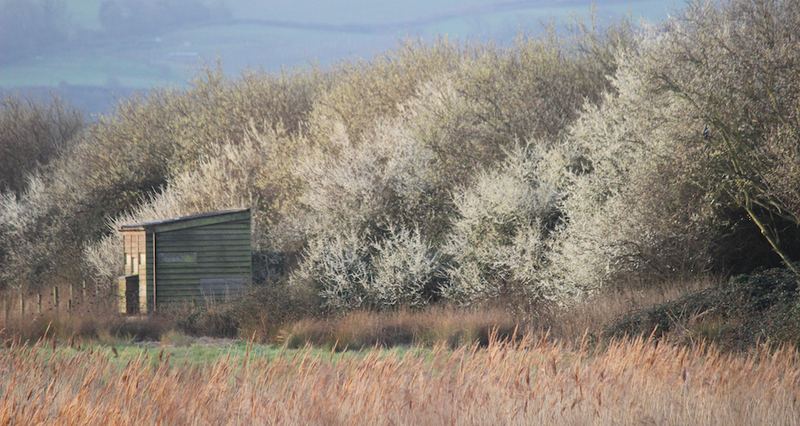 The hedgerow by the North Pool Hide is worth a look, open the side shutters to see what birds are among the blossom. Last time I looked through the shutter a chiffchaff sang to me. 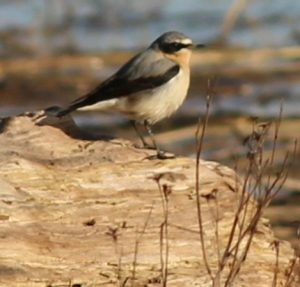 The distinctive Wheatear with its “bandit” face mask comes all the way from Africa for the summer. You might seen them anywhere, this one was on a washed up log on the salt marsh. 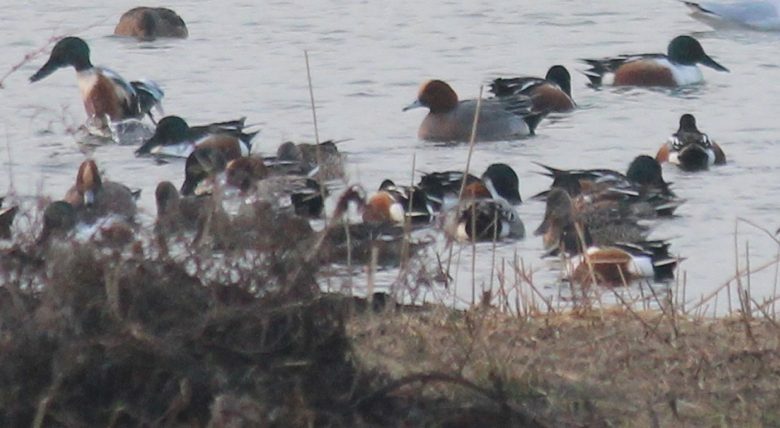 Many of our regular visitors are showing off their breeding plumage. 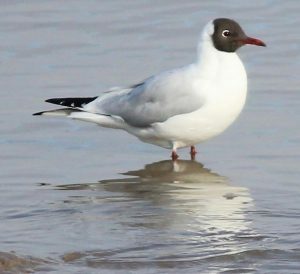 For most of the year Black-headed gulls have white heads with just a telltale white spot behind the eye. But this time of year they actually live up to their name. 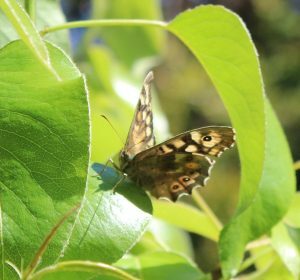 Our wildlife are looking to nest and rear young so this is the time for courtship displays. 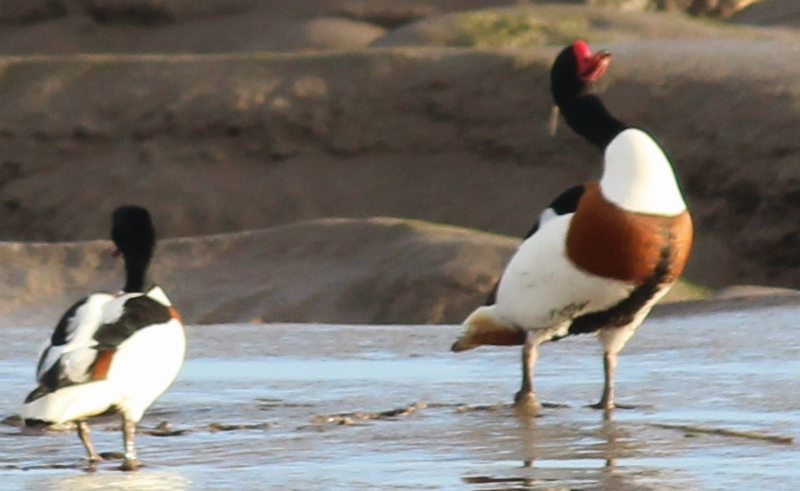 Male shelducks display to impress a mate, though clearly it is not working here! She looks decidedly disinterested. 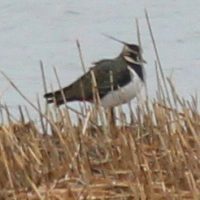 Look out for them on the foreshore and on North Pool Island. 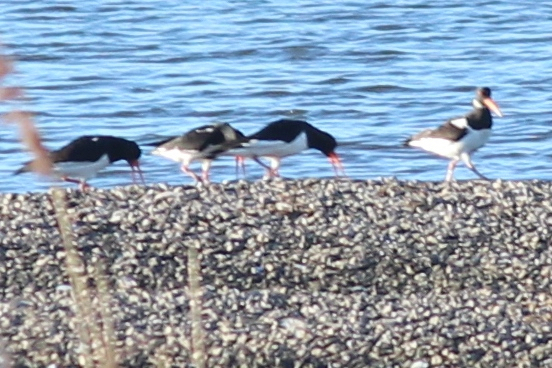 Or you may be lucky enough to see oystercatchers strutting their stuff on the North Pool island or on the foreshore. 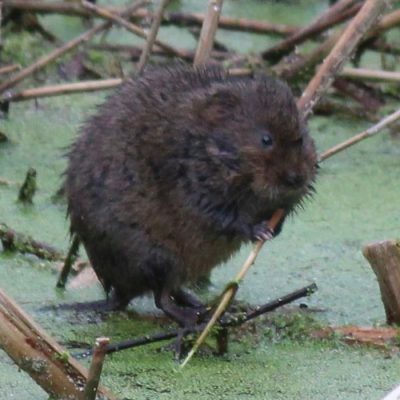 Water Voles are becoming more active in the rhynes. Now is a chance to glimpse one swimming. It gets harder to see them once all the reeds start growing. 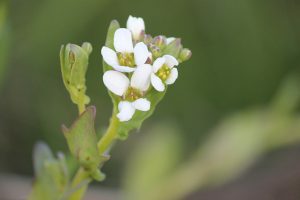 Sea scurvy grass in flower on the salt marsh. 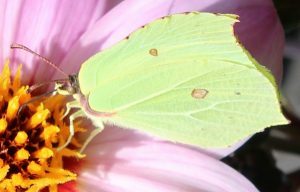 It is rich in vitamin C and sailors used to eat it to prevent scurvy. 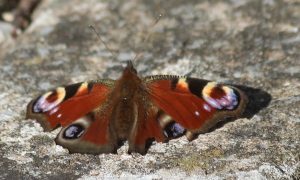 There is so much going on among our spring wildlife so this is just a taster of things to look out for. 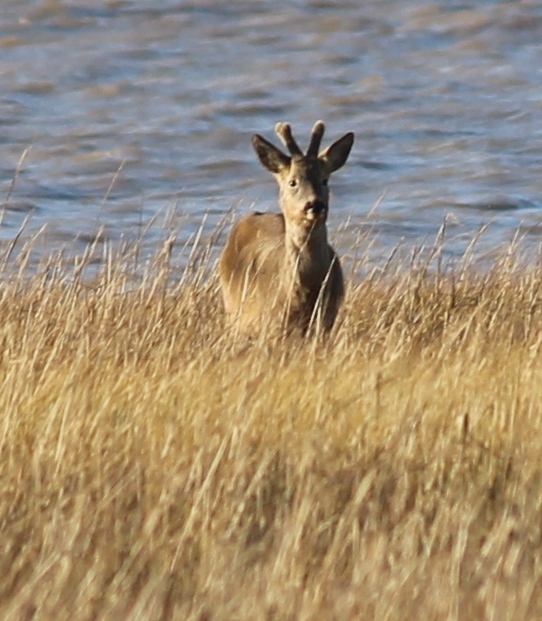 Only the male roe deer have antlers. 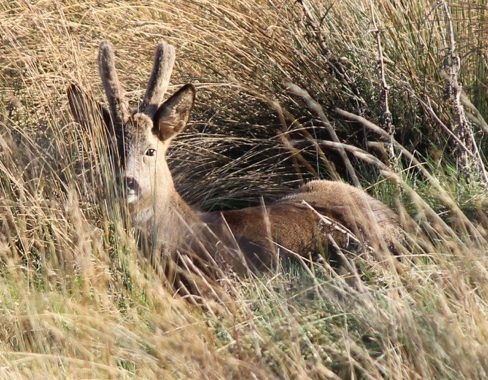 Each year, in late autumn they shed their antlers and grow new ones. 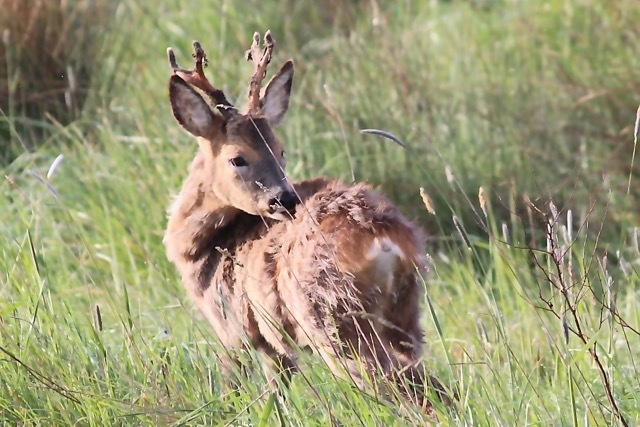 It doesn’t take long, after casting off the old ones, before these new roe deer antlers start to grow. If you look very closely at this “December” buck (above) you can just see the “nobs” of next year’s antlers. By February these antlers have put on a spurt. A velvety, soft hairy skin covers and protects them while they grow and harden. 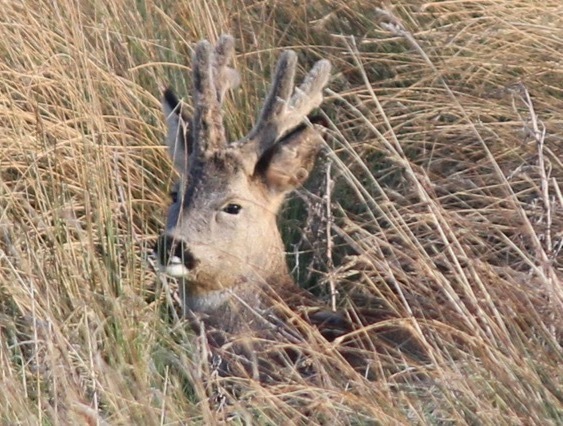 Their antlers are nearly fully grow by mid March but still covered in velvet. This fine buck was sitting in the North Pool field last year. 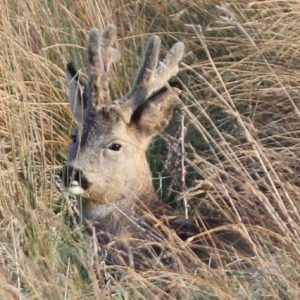 In April and May the blood supply to the velvet dries up and it falls off to reveal fully grown, hardened antlers. Often the deer will help this process along by rubbing their antlers on posts and tree trunks to remove the velvet. 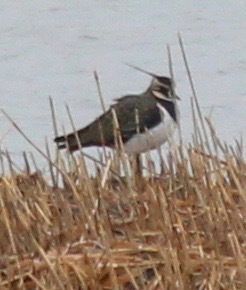 This morning at sunrise I watched 18 lapwing lift off from the North Pool. Once upon a time you would have seen flocks of a hundred strong. Sadly over the last 20 or so years, numbers have fallen dramatically. 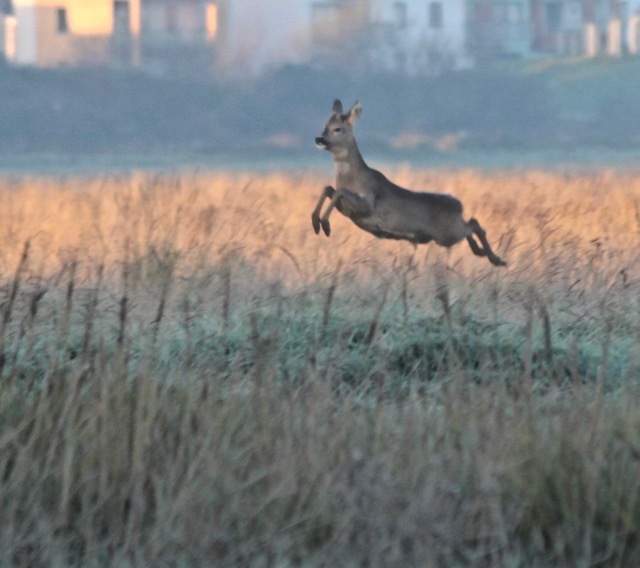 Portbury Wharf is an important staging post for wildlife heading into the Gordano Valley. 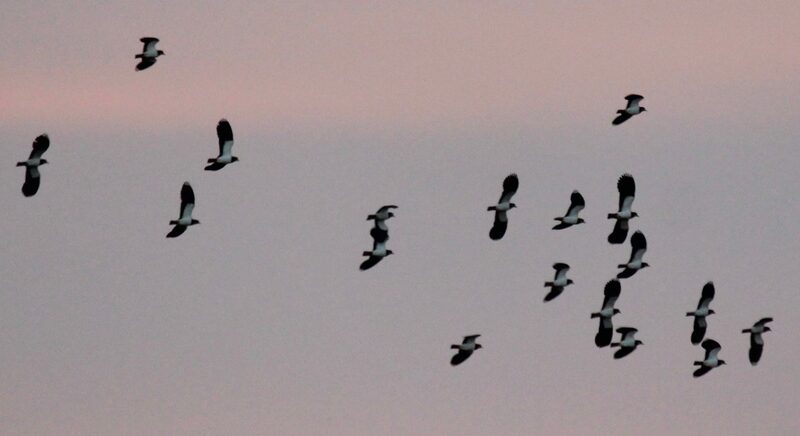 That is exactly where these lapwings were going this morning. 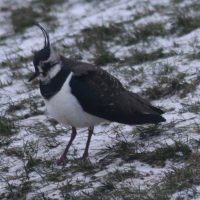 Bringing back lapwings to the Gordano Valley is a project that the Avon Wildlife Trust have been working on. Let’s hope we see many more of these delightful birds in the future. 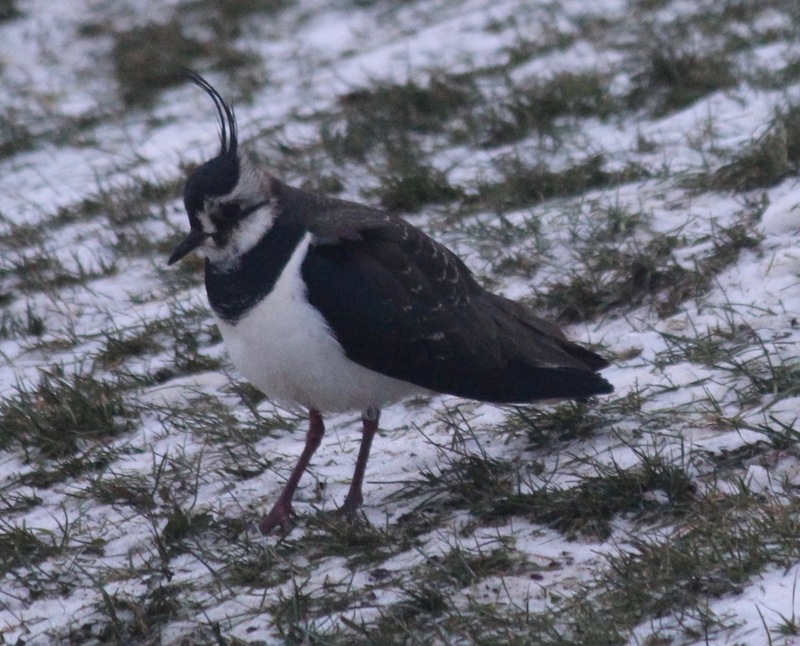 Look out for these lovely Gordano Valley lapwings on the pools in winter time.